Youngstown Barrel & Drum Co. remains your reliable provider of quality plastic drums. We are dedicated to supplying strong, durable poly barrels that are suitable for various commercial and industrial applications. This may include shipping and storing dry solid and liquid products. 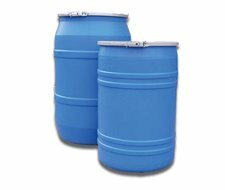 Properly tested, certified, and marked plastic drums are also suitable for storing hazardous materials. In addition, our plastic barrels come in various styles and sizes. We have tight head plastic drums and open head plastic drums. We also have poly barrels of 15, 30, and 55 gallons sizes. The size or type of plastic drum you purchase will depend on various characteristics of products you plan to ship and store. Our tight head plastic drum feature a non-removable lid with one or two drum plugs. The drums are basically suited for liquid and semi-liquid products. The drum fittings provide easy access for filling and dispensing of liquids. Once properly closed and sealed, your products are safe and well-protected. Our open head plastic drums feature a completely removable lid. Filling and dispensing the products in the drum is relatively easy and efficient. This makes the open head plastic drums suitable for shipping and storing both solid and liquid products. Above all, our drums are made using high density, high molecular weight polyethylene (HDPE) materials. Some feature Hazardous Material Regulations (HMR) closure instructions and meet UN certifications. They are manufactured using eco-friendly polyethylene materials and can be reused and recycled. For more information about our plastic drums, contact us today at Youngstown Barrel & Drum Co. Our poly barrels are affordable and reliable and come in many shapes and sizes. They suitable for your various commercial and industrial uses. Our representatives will be available to discuss your options and will help provide answers to your questions and concerns. An amazing experience awaits you.